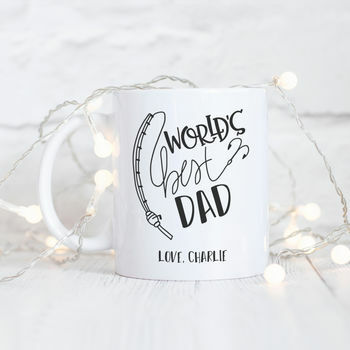 Personalised Fishing 'World's Best Dad' typography mug. 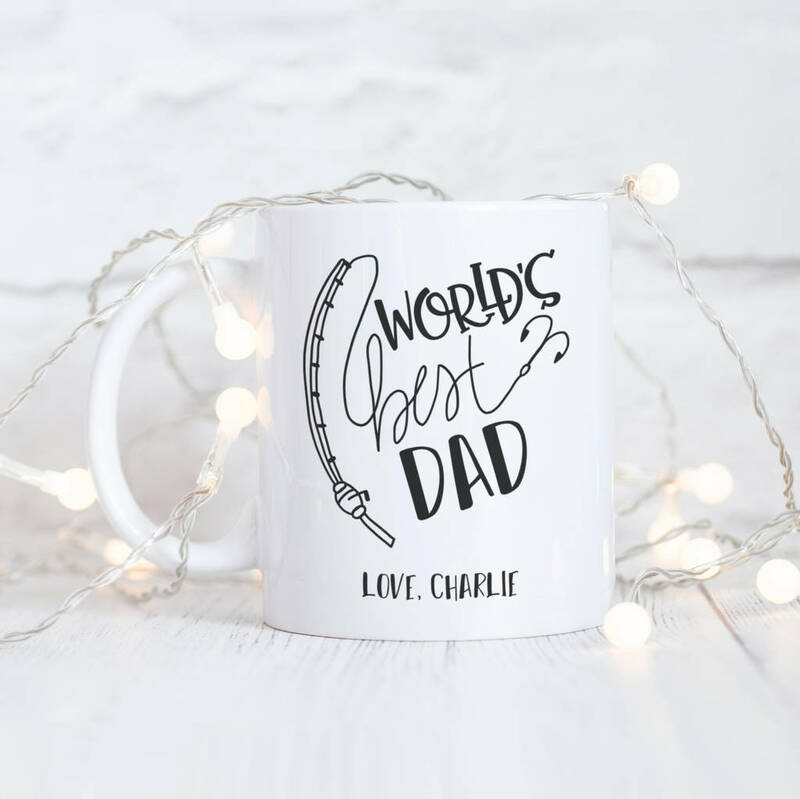 This personalised fishing 'World's best Dad' typography statement mug is the perfect gift for Father's Day, birthdays and Christmas. This mug can be personalised with any name of your choice.